Sam Schmidt, Jennifer Thoman and Jorjena Barringer aren’t like the anglers you often see in F3T films. They’re not exploring far-flung locations in search of exotic species. They don’t spend 200 days a year with a rod in hand. They’re mothers, friends, and hard-working professionals reunited on the Montana rivers where they first met 20 years before. Much has changed for them over two decades, but on this trip they find that belly laughs and wily trout offer the same refreshment for the soul that they always have. 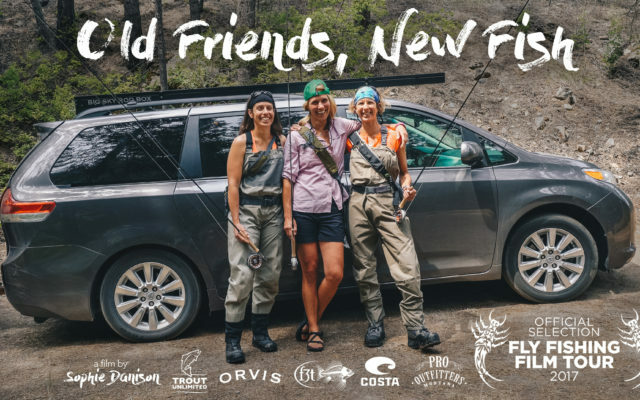 “Old Friends, New Fish” by Sophie Danison in association with Unicorn Picnic is the recipient of the Trout Unlimited Women in Fly Fishing Film Grant.